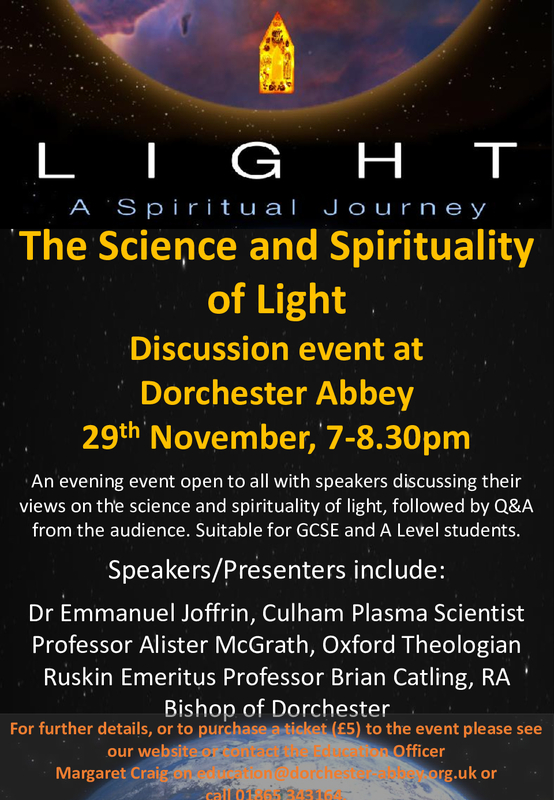 An evening event open to all with speakers discussing their views on the science and spirituality of light, followed by Q and A from the audience. Suitable for GCSE and A Level students. 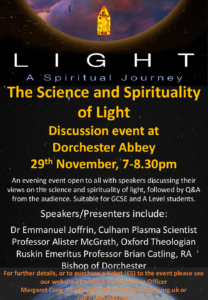 Speakers/Presenters include; Dr Emmanuel Joffrin, Culham Plasma Scientist; Professor Alister McGrath, Oxford Theologian; Ruskin Emeritus Professor Brian Catling, RA; Bishop of Dorchester.